The three sisters, Charlotte, Emily and Anne, remain some of the best-loved authors and poets to this day, with their works of Jane Eyre, Wuthering Heights and The Tenant of Wildfell Hall considered to be among the greatest literary masterpieces. Born in the village of Thornton and later associated with the village of Haworth, the family took much inspiration from their rural surroundings and poured it into their writing. Luckily, there are a wealth of locations fans can visit around Yorkshire to gain a little insight into the Bronte world. Here are a few must-visit spots. 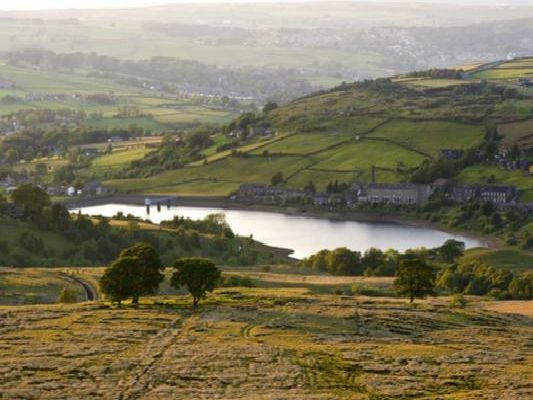 Reputedly inspiring Thrushcross Grange, the home of the Linton family in Wuthering Heights, this cosy bed and breakfast near Stanbury sits surrounded by rolling countryside, overlooking Ponden reservoir. Located around a mile from Stanbury, near Haworth, this wild spot is mostly moorland but is thought to have served as literary inspiration for all three Bronte sisters, and it can be easily reached on foot from Top Withens. Thought to be the house which inspired Mr Rochester's Thornfield Hall in Jane Eyre, this medieval manor is situated in Wensleydale, and is open to the public 28 days per year. St Michael and All Angel's Church (also known as the Bronte Church) in Haworth is best known for its association with the Bronte's, with all of the family except Anne, being buried here in a crypt beneath the east end.